My Name is Rose: A Novel by Alexa Kingaard is a coming of age story with powerful lessons of love and the deeper meaning of family. How far can a child drift from their roots? While her parents find life in the hippie commune idyllic and most pleasant, young Rose suffers powerful conflicting emotions. This isn’t her world and she knows it better when she is sent to a public school in a nearby town. As she is alienated from her family, she discovers love as well. But can she handle the loneliness of growing away from her family? Can she learn to accept her father again for who he is? Follow her emotional journey towards hurt, finding herself, and redefining family. I enjoy books with strong and well-developed characters and My Name is Rose: A Novel is one such book. 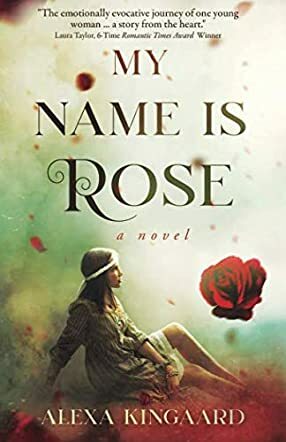 Rose is a character that reflects the psychological and emotional challenges that young people deal with and I loved particularly how the author mirrors her personality through the process of changes and the factors that determine her reactions to reality. The premise might not be explosive, but it is interesting how the physical setting can affect someone’s personality and the quality of relationships. The story is built around the central theme of family and the writing beautifully showcases the dynamics within Rose’s family. The prose is tight, punctuated by focused scenes, well-crafted dialogues, and descriptions that add depth to the emotional aspects of the narrative. Alexa Kingaard makes characters come alive in the pages of this novel and weaves a story that entertains immensely. Have you ever wondered what it is like living in a commune? The author, Alexa Kingaard has written a very intense, warm-hearted story about ROSE, a young, determined girl with a strong personality growing up in a world that is, so to say, not 'hers'. Rose experiences many trials of life, goes through turbulent as well as funny phases, tries to understand and accept the many different angles life brings. One can feel with her as she attempts to decide what is best for her, trying not to hurt others. Commune life is not her life and when she is exposed to the 'other' world, questions and contradictions stand in her way. The book MY NAME IS ROSE is definitely a page turner and the author, Alexa Kingaard, will keep you awake till the wee hours . . .why? It is like one is part of Rose's family, involved and craving to know what will happen next . . surprise, surprise! !